EcchiMask is an artist I met through Malezor, who has an ongoing Goku/Gohan comic called Study Break. After talking a bit, I agreed to color it, and here’s the first page of that. Some of you may notice the comic pairs well with my own Special Training, and if you wanted to view it as a sequel to that comic I’d have no issue with that. It fits in well with what happens in that comic, I believe, though I played no hand in writing this one (colors only, everything else is EcchiMask). So this is a pic I sketched out a long time ago (about half a year, I think?) and decided to pick up again as a stress-relief piece to work on between Patreon commissions. I just wanted to do something cute and simple with Goku and Chi-Chi, and thought it’d be fun to have Chi-Chi in her rarely-seen loosed hair design. Her lingerie here is loosely based on what she wore for the cover of “Fire Mountain Bliss”. I ended up also giving her a bit of makeup under the assumption that she’d want to doll up a little for a special couples night between them. I dunno. This Ask is following up on an earlier one made by the same Patron. 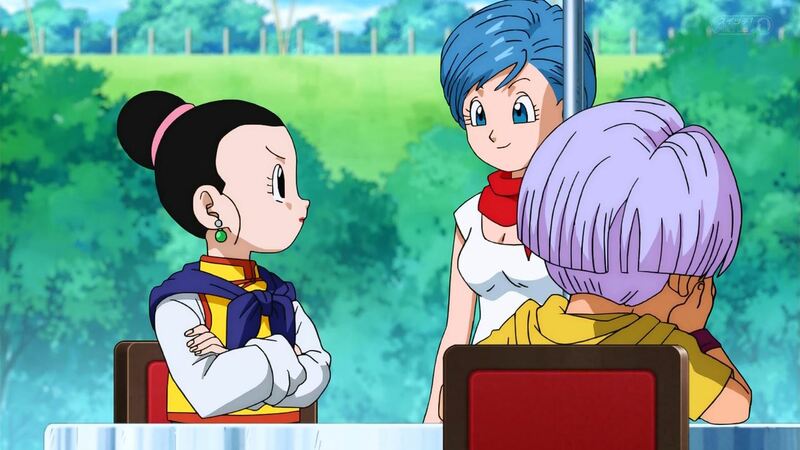 It seems after all this time, Chi-Chi and Bulma have kept up their side thing. And why wouldn’t they? The two of them are a constant source of mutual support when it comes to their notoriously difficult husbands. So I know the Son family -does- go to market to buy groceries and stuff, but I just couldn’t picture Chi-Chi taking the time or spending the money to find any sort of commercial lubricant. Living up in the mountains like they do, it seemed much more reasonable to me that she’d mix up her own organic concoction using a mix of the vegetables and roots available on their farm with some simple oils and stuff she already had for cooking. The description of taste at the end there is based on something I read online about how a similar lube tasted, though I think they were just recommending not eating it. This pic came about from a Character Ask I did, where I established an ongoing side-thing between Chi-Chi and Bulma. I was fond of the idea, as were many of my followers, so I thought it’d be fun to do a regular pic of the two of them. Their designs here are based off their appearance in the Bojack film, which is to say the same designs I used for that Ask (from the Cell saga tournament), but with some color changes. I’d like to do more DBZ yuri when I can, but there’s so much to do it’s hard to say when that will be. So this is the third and (as of now) final entry in my “After the Cell Games” series of pics. At the time I started it there was only these three poses sketched out, but you know maybe I’ll come back to it later. At the very least I can guarantee this won’t be the last time I draw Chi-Chi, haha.